Os Beatles tocaram em três estadias separadas no clube em 1962. Esta foi a primeira, e viu o grupo se apresentar num total de 172 horas ao longo de sete semanas. Sua única noite de folga era Sexta-feira Santa, 20 de abril. Esta primeira temporada no Star-Club começou na sexta-feira 13 de abril e chegou ao fim em 31 de maio de 1962. Os Beatles deixaram Hamburgo, no sábado 02 de junho. Foi a terceira residência dos Beatles em um clube de Hamburgo,em dois anos, e depois de uma série de shows no Indra, o Kaiserkeller e o Top Ten Club. 1962-This was The Beatles' 16th of 48 nights at Hamburg's Star-Club, the city's newest rock 'n' roll venue. The way we went out. But thanks for the date. But you know baby it's getting late. We got to go home. But i must come to run, honey. But sugar, it's getting late. *" Lend Me Your Comb" é de um compacto de 1956 de Carl Perkins-, do amplo repertório que o grupo tocava em suas apresentações na época. * "Lend Me Your Comb" is from Carl Perkins' compact of 1956-, from the large repertoire that the group played in their presentations at the time. 1966-A primeira sessão de uma das canções mais famosaa e mais amadaa de Paul McCartney, Eleanor Rigby, aconteceu neste dia, com a gravação do backing de um octeto. Quatorze takes das cordas de apoio foram gravados, o último dos quais foi o melhor. Os instrumentos foram gravados dois faixa, e um mix de redução - numerada take 15 - foi realizado no final da sessão de liberar mais três faixas. Um novo mix do apoio instrumental foi feito em 1995 para a coleção Anthology 2, apresentando as cordas em estéreo pela primeira vez. 1966-The first session for Paul McCartney's most famous and best-loved songs, Eleanor Rigby, took place on this day, with the recording of the string octet backing. Fourteen takes of the strings backing were recorded, the last of which was the best. The instruments were recorded two per track, and a reduction mix - numbered take 15 - was made at the end of the session to free up three further tracks. A new mix of the instrumental backing was made in 1995 for the Anthology 2 collection, presenting the strings in full stereo for the first time. *A música foi concluída em Kenwood quando John, George, Ringo e um amigo cde infância se reuniram em uma sala cheia de instrumentos. Cada um contribuiu com idéias para dar substância a história. Father "McCartney" apareceu, Ringo sugeriu que ele poderia estar cerzindo meias. Paul, depois mudou o nome do padre (procurando na lista telefônica veio McKenzie). George trouxe a parte sobre 'pessoas solitárias'. 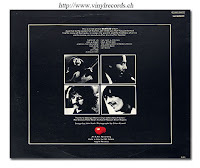 *The music was completed in Kenwood when John, George, Ringo and a childhood friend met in a sla full of instruments. Everyone contributed ideas to substantiate the story. Father "McCartney" appeared, Starr suggested he might be darning socks. Paul, then changed the name of the Father (looking in the phone book came McKenzie). George brought the part about 'lonely people'. 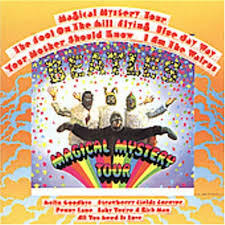 1967-O trabalho continuou na música Magical Mystery Tour durante esta sessão, com a adição de mais vocais e o início de alguns Mixagem Mono. Paul McCartney overdubbed uma parte da voz principal em três faixas da fita, com o backing de John Lennon e George Harrison. Quatro mixagens em mono foram então feitas para demo e cortadas para acetatos, presumivelmente para as trombetas poderema ser marcadas. Este mix tratou os vocais de McCartney com double racking artificial e pianos mais altos durante o prolongamento. 1967-Work continued on the Magical Mystery Tour song during this session, with the addition of more vocals and some initial mono mixes. Paul McCartney overdubbed a lead vocal part onto track three of the tape, with backing by John Lennon and George Harrison. Four mono mixes were then made for demo purposes and cut onto acetates, presumably so the trumpets could be scored. This mix treated McCartney's vocals with artificial double tracking and had louder pianos during the coda. *Em 25 de Abril, Paul chegou aos estúdios da Abbey Road apenas coM o título da canção, o primeiro verso e uma idéia geral da melodia. Ele disse que queria que sua nova música fosse como um comercial para o programa de televisão, que informasse aos telespectadores o que os aguardava. 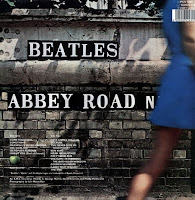 * On April 25, Paul came to the Abbey Road studios only with the song title, the first verse and a general idea of the melody. He said he wanted that his new music was like a TV commercial , that inform the viewers what was awaiting for them. 1969-Os Beatles começaram a trabalhar na segunda gravação de uma composição de Ringo Starr, Octopus Garden, gravarama 32 takes do ritmo básico. Antes deles começarem, no entanto, Paul McCartney fez sua primeira tentativa de gravar a voz principal para Oh! Darling. McCartney primeiro apagou o órgão Hammond Gravado em 20 de abril de 1969. Então ele fez um overdubbed nos vocais no take 26, mais um segundo take com voz de falsete. Então ele gravou dois takes de vocal harmônico, principalmente no final do verso. McCartney teve que regravar os vocais várias vezes nos dias subsequentes antes de ficar satisfeito. Para Octopus's Garden, McCartney tocou baixo,Starr cantou o vocal líder e tocou bateria, e John Lennon e George Harrison ficaram nas guitarras. A guitarra de Harrison foi implementada por um alto-falante Leslie. Trinta e dois takes foram registrados, o segundo foi incluído no Anthology 3 em 1996, juntamente com o comentário de Starr "Bem, isso foi soberbo" que sucedeu o take 8. A sessão começou às 16:30 e terminou às 04h15 da manhã seguinte. 1969-The Beatles began work on Ringo Starr second-recorded composition, Octopus's Garden, taping 32 takes of the basic rhythm track. Before they began, however, Paul McCartney made his first attempt to record a lead vocal for Oh! Darling. 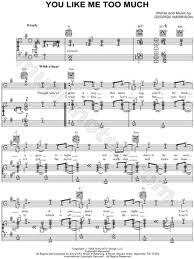 McCartney first erased the Hammond organ part recorded on 20 April 1969. He then overdubbed his lead vocals onto take 26, plus a second take in a falsetto voice. He then recorded two harmony vocal takes, mainly in the final verse. McCartney would re-record his vocals a number of times on subsequent days before being satisfied. For Octopus's Garden, McCartney played bass guitar, Starr drummed and sang a guide vocal, and John Lennon and George Harrison were on guitars. Harrison's guitar was put through a Leslie speaker. Thirty-two takes were recorded; the second was included on 1996's Anthology 3, along with Starr's comment "Well that was superb" which followed take 8.The session began at 4.30pm and finished at 4.15am the following morning. in his octupus' garden, in the shade. In an octupus' garden with you. *A segunda (e última) canção do Ringo foi inspirada nas férias em família que ele tirou em 1968 na Sardenha a bordo do iate de Peter Sellers. Depois que Ringo recusou uma oferta de polvo para o almoço, o capitão da embarcação começou a contar a ele tudo o que sabia sobre a vida dos polvos. *The second (and last) Ringo's song was inspired in a vacation with family that he took in 1968 in Sardenha on Peter Seller's iate.After the Ringo's refuse an offer of octopus for lunch, the captain of the ship started to tell him everything he knew about the octopuses life. 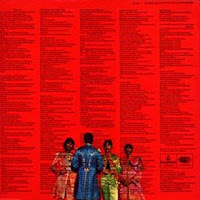 1969-Um mix mono foi criado da canção Let It Be, Two Of Us, durante esta uma hora de duração da sessão tarde da noite. O mix permitia que um disco de acetato cortasse a música, então Paul McCartney poderia dar uma cópia para o trio Mortimer dos EUA. Em maio de 1969 McCartney produziu uma versão de banda para a Apple, mas a gravação nunca foi lançada. 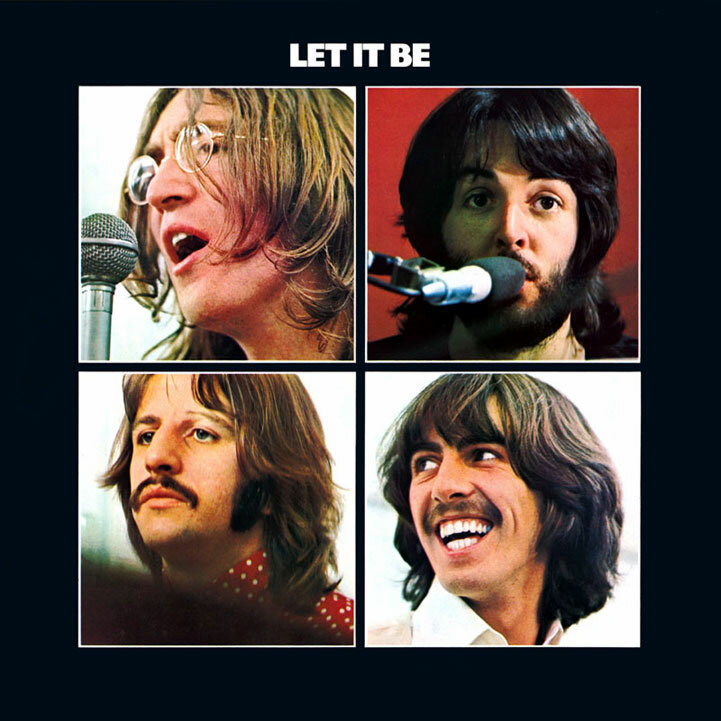 1969-A rough mono mix was created of the Let It Be song Two Of Us during this hour-long late-night session. The mix was to allow an acetate disc to be cut of the song, so that Paul McCartney could give a copy to the US trio Mortimer. 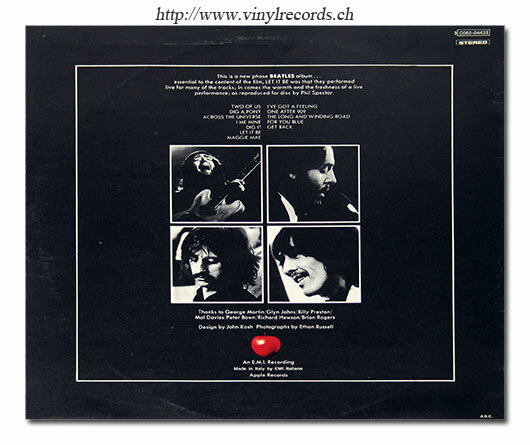 In May 1969 McCartney produced the band's version for Apple, but the recording was never released. *Linda:"Paul escreveu "Two OF Us" naqueles dias (sobre se perder). É sobre nós. Nós simplesmente entramos em algum bosque e paramos o carro. Eu fui caminhar enquanto Paul ficou sentado no carro escrevendo. Ele também fala de cartões postais porque costumávamos trocar cartões". * Linda: "Paul wrote" Two Of Us "in those days (about losing themselves). It's about us. We simply entered some woods and stopped the car. I was walking while Paul sat in his car writing. He also speaks of postcards because we used to exchange business cards. " 1967-Um dia antes de começar a trabalhar na música Magical Mystery Tour, todos os Beatles foram ver o cantor de folk, Donovan em Londres. O concerto foi a primeira noite da semana de residência de Donovan no Teatro Saville, um local, em seguida, de propriedade de The Beatles 'manager Brian Epstein. 1967-The day before beginning work on the Magical Mystery Tour song, The Beatles all went to see the folk singer Donovan performing in London. The concert was the first night of Donovan's week-long residency at the Saville Theatre, a venue then owned by The Beatles' manager Brian Epstein. *O homem rico da parte de Paul supostamente é o empresário Brian Epstein. * The rich man's supposedly of Paul's part is the manager Brian Epstein. 1964-Os Beatles havia filmado cenas no aeroporto de Gatwick para seqüência de Can't Buy Me Love do filme A Hard Day's Night no dia 13 de março de 1964. Eram necessárias mais cenas, no entanto, que foram feitas neste dia. As filmagens aconteceram em Thornbury Playing Fields em Isleworth, sul de Londres. Um heliponto falso foi construído, e os Beatles foram filmados correndo e dando voltas por cima. John Lennon, Paul McCartney e George Harrison também foram filmados saltando de uma escada de madeira mantida no lugar por um eletricista em conjunto com o cinegrafista situado ao nível do solo. Um parque infantil foi mais tarde construído no local onde o heliporto foi construído. A sessão terminou às 13:00, mas Lennon teve que sair mais cedo para participar de um almoço literário da Foyle realizada em sua honra. 1964-The Beatles had filmed scenes at Gatwick Airport for the Can't Buy Me Love sequence of the A Hard Day's Night film on 13 March 1964. More footage was needed, however, which was captured on this day. Filming took place on Thornbury Playing Fields in Isleworth, south London. A fake helipad was constructed, and The Beatles were filmed running around and acting up. John Lennon, Paul McCartney and George Harrison were also filmed jumping from a wooden ladder held in place by an on-set electrician, with the cameraman situated at ground level. A children's playground was later built on the spot where the helipad was constructed. The shoot ended at 1pm, but Lennon had to leave early to attend a Foyle's literary luncheon held in his honour. *John era obviamente o compositor mais prolífico da época, tendo escrito cinco das sete músicas do filme e em via de compor todas as canções do lado B, com exceção de uma. * John was obviously the most prolific composer of the time, having written five of the seven songs from the movie and in the process of writing all the songs on B-side, with one exception. 1999-Em um leilão realizado em Londres, o órgão Vox que John usou para tocar “I’m Down” no Shea Stadium foi vendido por 19.500 libras. Um terno de Ringo é vendido por 1.300 libras, enquanto seu velho Chevrolet alcança o valor de 4.200 libras. 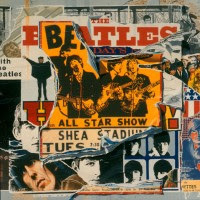 1999-In an auction in London, the Vox organ that John used to play "I'm Down" at Shea Stadium was sold for 19,500 pounds. A suit of Ringo is sold for 1,300 pounds, while his old Chevrolet reaches the value of 4,200 pounds. I'm down, down, down, down, down, down, down, down, down, yeh whoa! *"I'm Down" é uma tentativa descarada de Paul de escrever uma canção à Little Ricard para substituir "Long Tall Sally" no repertório dos Beatles. * "I'm Down" is a shameless attempt by Paul to write a song like Little Ricard's to replace "Long Tall Sally" in the repertoire of The Beatles. 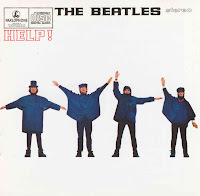 1965-1965-Neste dia viu a conclusão da cena de Help! em que os Beatles visitaram o escritório do superintendente de polícia da Scotland Yard, Gluck. Foi filmado em Twickenham Film Studios, na Inglaterra. 1965-This day saw the completion of the scene in Help! in which The Beatles visited the Scotland Yard office of police superintendent Gluck. It was filmed at Twickenham Film Studios in England. *"You Like me Too Much" foi escrita por George para a trilha sonora antes que a filmagem de help! começassem. Acabou sendo relegada ao lado B do álbum. * "You Like Me Too Much" was written by George to the soundtrack before filming Help! began. It ended up being relegated to the B side of the album. 1966-Uma sessão de 12 horas aconteceu neste dia, durante o qual os Beatles trabalharam em duas canções para o Revolver, embora as gravações de ambas fosse posteriormente descartada. O trabalho começou às 2:30 da tarde, e terminou às 2h30 da manhã seguinte. A primeira música a ser abordada foi a de John Lennon And Your Bird Can Sing.Os Beatles gravaram dois takes da faixa de apoio, o que era notável para um ritmo descordante da parte de guitarra inspirada por The Byrds. Este foi gravado em uma Rickenbacker de 12 cordas, acompanhada de outro guitarra elétrica de Lennon, e bateria de Ringo Starr, todos gravados em uma fita de quatro takes. Lennon overdubbed o vocal principal no track dois do segundo take, enquanto Paul McCartney acrescentou uma parte de baixo e Starr tocou um tamborim. O track três contou com uma segunda parte vocal de Lennon, com harmonias de McCartney e George Harrison, e um solo de guitarra. 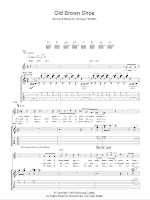 No track quatro outro lead vocal de Lennon / McCartney foi adicionado, mas este proveniente de risadas e assobios. 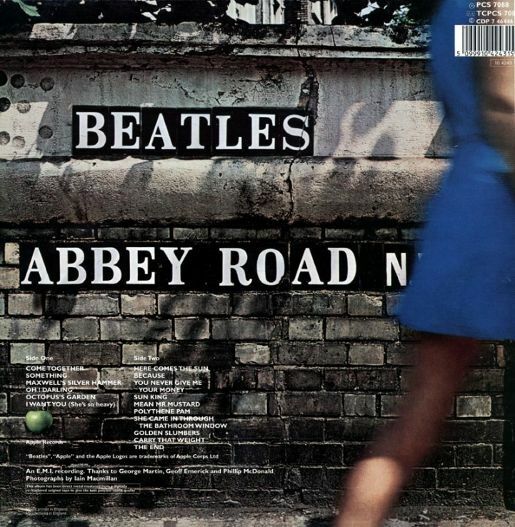 Apesar de passar várias horas trabalhando sobre a canção, foi refeita em 26 de abril de 1966; esta versão foi lançada em 1996 no álbum Anthology 2. Os Beatles, em seguida, voltaram sua atenção para Taxman de Harrison. Eles gravaram quatro takes da canção, só dois dos quais estavam completos, mas novamente foi regravada em uma data posterior. A sessão terminou com a criação de cinco mixes mono de And Your Bird Can Sing, todas do take dois. 1966-A 12-hour session took place on this day, during which The Beatles worked on two songs for Revolver, although the recordings of both were later scrapped. Work began at 2.30 in the afternoon, and finished at 2.30am the following morning. The first song to be tackled was John Lennon's And Your Bird Can Sing. The Beatles recorded two takes of the backing track, which was notable for a jangle rhythm guitar part inspired by The Byrds. 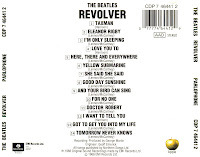 This was recorded on a Rickenbacker 12-string, accompanied by another electric guitar by Lennon, and drums by Ringo Starr, all recorded on track one of the four-track tape. 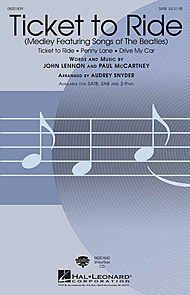 Lennon overdubbed a lead vocal onto track two of the second take while Paul McCartney added a bass part and Starr played a tambourine. 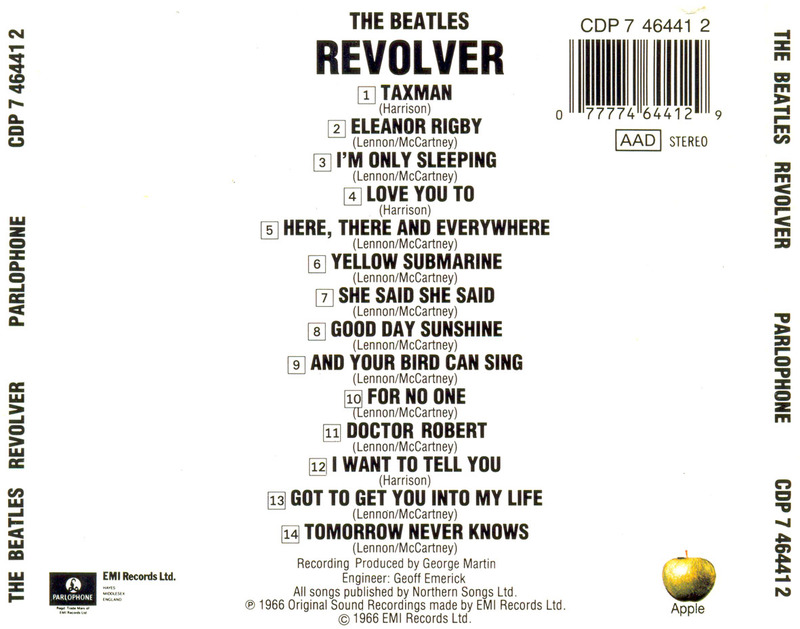 Track three featured a second vocal part by Lennon, with harmonies from McCartney and George Harrison, and a lead guitar solo. Onto the fourth track another Lennon/McCartney lead vocal was added, but this descended into laughter and whistling. 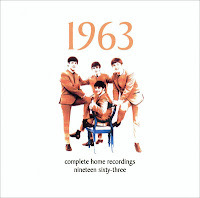 Despite spending several hours working on the song, it was remade on 26 April 1966; this version was released on the 1996 album Anthology 2. The Beatles then turned their attention to Harrison's Taxman. They recorded four takes of the song, only two of which were complete, but again it was re-recorded at a later date. The session ended with the creation of five mono mixes of And Your Bird Can Sing, all from take two. But you can't hear me, you can't hear me. *John menosprezou essa música dizendo que era "um horror" (1971) e "uma canção descartável" (1980), mas é difícil entender a causa dessa insatisfação.A letra era uma das mais enigmáticas e provavelmente uma observação sarcástica sobre Paul disfarçada com tinturas poéticas. * John despised this song saying it was "a horror" (1971) and "a song disposable" (1980), but it is difficult to understand the cause of this dissatisfaction. A letter was one of the most enigmatic and probably a sarcastic remark about Paul disguised with poetic dyes. 1964-O especial de televisão Around The Beatles, que foi filmado em 28 de abril de 1964, incluiu apresentações musicais. No entanto, a música usada não eram gravações da EMI, uma nova trilha sonora foi gravada neste e no dia anterior no Independent IBC (International Broadcasting Company) Studios, em 35 Portland Place, em Londres. A sessão aconteceu entre 10:00 até 20:30. Não havia nenhum produtor, mas o empresário do IBC, Alan Stagg estava presente, assim como o pessoal de apoio técnico. Os Beatles passaram o dia todo no estúdio, gravando suas partes, juntamente com outras apresentações do show. Backing tracks foram gravadas na parte da manhã, seguido de vocais no período da tarde, e à noite foram convidados uma série de garotas foram chamadas para ouvir o playback e seus gritos foram gravados. O estúdio usou uma máquina Ampex 3-track, com o back da música gravada em uma faixa, os vocais em outro, e os gritos e aplausos em um terçceiro. 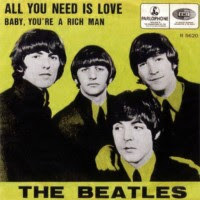 Os Beatles gravaram as músicas Twist And Shout, Roll Over Beethoven, I Wanna Be Your Man, Long Tall Sally, Boys and Can't Buy Me Love, e um medley de seus hits até à data: Love Me Do / Please Please Me From Me To You / She Loves You / I Want To Hold Your Hand. Eles também gravaram uma versão da canção do Isley Brothers de 1959 Shout, que contou com os vocais de cada um dos Beatles. 1964-The television special Around The Beatles, which was filmed on 28 April 1964, included mimed musical performances. However, the music used wasn't the EMI recordings; a new soundtrack was recorded on this and the previous day at the independent IBC (International Broadcasting Company) Studios, at 35 Portland Place in central London. The session took place from 10am until 8.30pm. There was no producer, but IBC’s manager Alan Stagg was present, as were technical support staff. The Beatles spent all day in the studio, recording their parts along with the show's other acts. Backing tracks were taped in the morning, followed by vocals in the afternoon, and in the evening a number of girls were invited to listen to a playback and their screams were recorded. The studio used a 3-track Ampex machine, with the backing music recorded on one track, vocals on another, and screams and applause on a third. 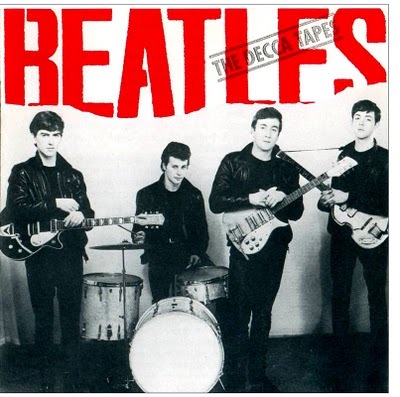 The Beatles taped the songs Twist And Shout, Roll Over Beethoven, I Wanna Be Your Man, Long Tall Sally, Boys and Can't Buy Me Love, and a medley of their hits to date: Love Me Do/Please Please MeFrom Me To You/She Loves You/I Want To Hold Your Hand. 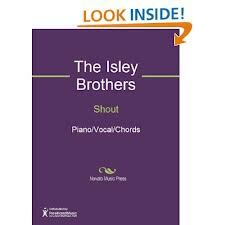 They also recorded a version of the Isley Brothers' 1959 song Shout, which featured lead vocals from each of The Beatles. A little bit louder now. *A arrasadora música de 1959, que os beatles tinham em seu repertório inicial, foi popularizada na inglaterra pelo compacto de Lulu, de 1964. 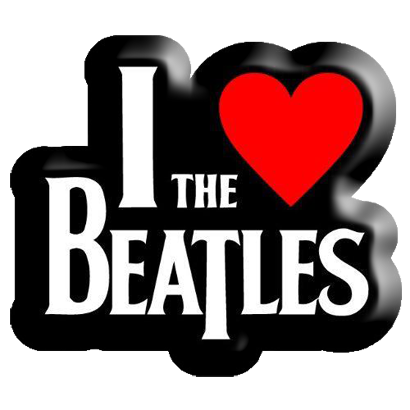 * The overwhelming music of 1959, that the Beatles had in their initial repertoire, was popularized in England by compact Lulu, 1964. 1969 - Os Beatles terminaram a gravação de Old Brown Shoe canção de George Harrison neste dia, e continuaram a trabalhar na canção Abbey Road I Want You (She's so heavy). Harrison trabalhou sozinho na música, gravando um solo de guitarra no track sete. O instrumento foi alimentado através de um alto-falante Leslie. Ele então apagou a guitarra rítmica de John Lennon fazendo um overdubbing de órgão Hammond. A sessão de gravação foi surpreendentemente longa, com duração entre 14.30-22:30 no Estúdio Três. Harrison e o produtor Chris Thomas, em seguida, mixaram Old Brown Shoe em estéreo em 19 tententativas, que foram numeradas de 5-23, na sala de controle do estúdio. Eles completaram o trabalho a 1:00 da manhã. O estúdio dois também havia sido reservado para o trabalho em I Want You (She's So Heavy). Harrison, Lennon, Thomas, o engenheiro Jeff Jarratt e o operador John Kurlander estavam presentes para fazer o overdubbing de guitarras, em uma sessão mais tarde com duração entre 1.0-04h30 da manhã. Os Beatles começaram a gravar a canção em 22 de fevereiro de 1969, e uma fita master foi montada a partir de três diferentes takes no dia seguinte. Nesta manhã eles acrescentaram vários overdubs de guitarra não numerados, para fazer a parte crescente da música. Uma mix de redução foi então feito para permitir mais trabalho numa data posterior. 1969- The Beatles finished the recording of George Harrison's song Old Brown Shoe on this day, and continued work on the Abbey Road song I Want You (She's So Heavy). She’s so heavy heavy, heavy, heavy. 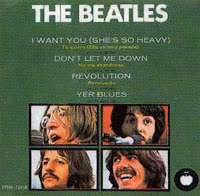 *"I Want You (She's So Heavy)" foi escrita como uma canção de amor para Yoko. John admitiu a influência que ela teve em seu novo estilo de compor e disse que pretendia um dia escrever a canção perfeita com apenas uma palavra. Um poema de Yoko de 1964 consistia apenas na palavra "water". A música foi citada pela BBc 24Hours como um exemplo das banalidades da música pop, o que enfureceu John. 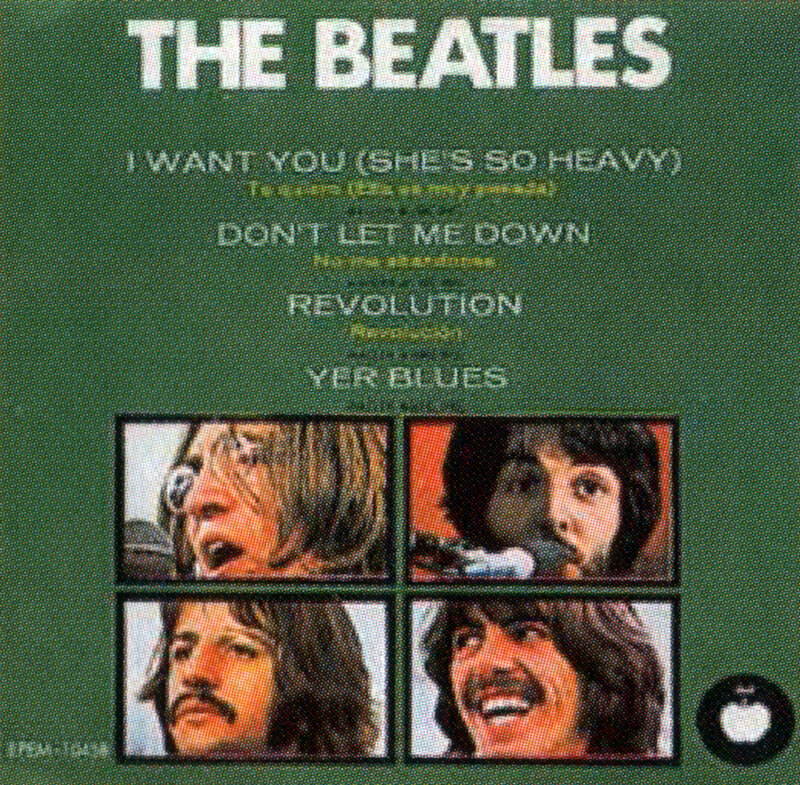 * "I Want You (She's So Heavy)" was written as a love song to Yoko. John admitted that she had influence in his new style of writing and said he intended to write one day the perfect song with only one word. A poem by Yoko in 1964 was only the word "water". The music was cited by the BBC 24Hours as an example of the banalities of pop music, which infuriated John. 1966-A terceira música de Revolver escrita sobre o consumo de drogas, na sequência de Tomorrow Never Knows e Got To Get You Into My Life, o track de fundo para Doctor Robert foi gravado neste dia. A sessão começou às 14:30 e terminou às 22:30. Os Beatles gravaram a música em sete takes, com John Lennon na guitarra base, Paul McCartney tocando um baixo Rickenbacker, George Harrison nas maracas e Ringo Starr tocando tambores. Harrison, em seguida, sobrepõe uma parte guitarra líder, e Lennon acrescentou harmonia. Todos os instrumentos para Doctor Robert foram gravados neste dia; vocais foram adicionados e mixagens em mono foram feitas dois dias depois, em 19 de abril de 1966. 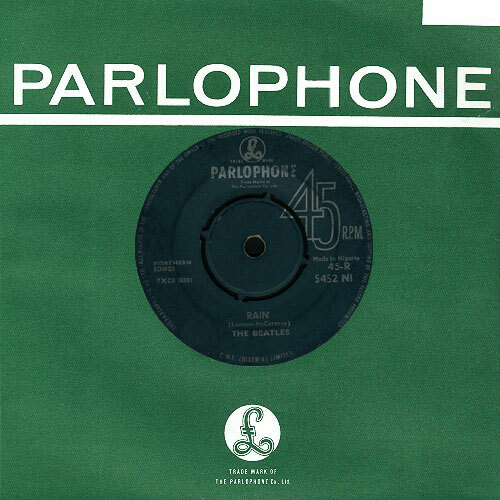 1966-The third song for Revolver written about drug-taking, following Tomorrow Never Knows and Got To Get You Into My Life, the backing track for Doctor Robert was recorded on this day. The session began at 2.30pm and ended at 10.30pm. The Beatles recorded the song in seven takes, with John Lennon on rhythm guitar, Paul McCartney playing a Rickenbacker bass, George Harrison on maracas and Ringo Starr playing drums. Harrison then overdubbed a lead guitar part, and Lennon added harmonium. All the instruments for Doctor Robert were recorded on this day; vocals were added and mono mixes were made two days later, on 19 April 1966. *A música era uma brincadeira em torno desse sujeito,possivelmente Dr Robert Freymann, que curava todo mundo com remédios e tranquilizantes. Ele simplesmente mantinha Nova York chapada...John que escreveu "Doctor Robert" estava entre os 100 famosos atendido por ele, segundo a filha de Freymann. * The song was a joke around this guy, possibly Dr Robert Freymann, who healed everyone with drugs and tranquilizers. He just kept New York drugged... John who wrote "Doctor Robert" was among the 100 famous attended by him, according the Freymann's daughter. 1969-John Lennon e Paul McCartney haviam gravado The Ballad Of John And Yoko em 14 de abril de 1969. Dois dias depois, todos os quatro membros dos Beatles reuniram-se em Abbey Road para gravar seu lado-b, a canção de George Harrison Old Brown Shoe. Havia duas sessões separadas neste dia. Das 2.30-17:00 Harrison gravou um demo solo de Old Brown Shoe em um único take. Ele já tinha um demo da canção, de 25 de fevereiro de 1969. Neste dia, porém, sua demo foi gravada mais uma vez quando a sessão começou às 19:00. É provável que Harrison tenha tocado a gravação a eles para referência antes do trabalho começar. Esta foi a primeira sessão de gravação dos Beatles na Abbey Road com os quatro membros desde 8 de outubro de 1968, mais de seis meses antes. Eles gravaram a música de fundo para Old Brown Shoe em apenas quatro tomadas. O track um continha a bateria Ringo Starr, enquanto o segundo e terceiro destaca vocais de Harrison e guitarra. Piano, Paul McCartney foi gravado em quatro faixas, e John Lennon acrescentou guitarra ritmo para o track oito. Lennon e McCartney, em seguida, sobrepuseram backing vocals para o track cinco. Guitarra elétrica e partes de baixo foram adicionados por McCartney e Harrison no seis, ambos os instrumentos dobrando os mesmos riffs. Vocais de Harrison foram últimos a ser adicionados, ao track oito, para isso ele se posicionou em um canto do estúdio para dar um som intimista. 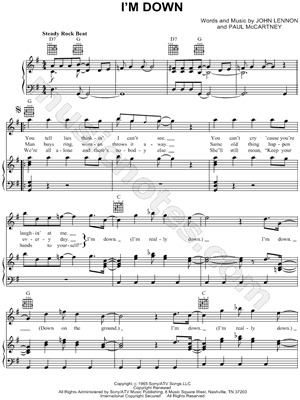 1969-John Lennon and Paul McCartney had recorded The Ballad Of John And Yoko on 14 April 1969. Two days later all four members of The Beatles met at Abbey Road to record its b-side, George Harrison's song Old Brown Shoe. Right is only half of what's wrong. Now I'm steppin' out this old brown shoe. Baby I'm in love with you! Baby, I'm in love with you! If I'll grow up I'll be a singer. Wear rings on ev'ry finger. You may comfort me (yeah)!! It won't be the same now I'm with you! *As origens da letra estão na visão religiosa de George de que precisamos nos libertar da realidade do mundo material porque ela é ilusória. Uma vez absorvidos pela consciência divina, não há certo versus errado, corpo versus alma, espírito versus matéria. * The origins of the letter are the religious views of George that we need to free ourselves from the reality of the material world because it is illusory. Once absorbed into the divine consciousness, no right versus wrong, body versus soul, spirit versus matter. 1963-Essa foi única performance dos Beatles na pequena cidade de Tenbury Wells, Worcestershire. O concerto aconteceu no Riverside Dancing Club no Bridge Hotel. Para um grupo claramente à beira do sucesso, os Beatles não teriam tocado em um local e cidade tão pequenos, mas pelo compromisso de Brian Epstein em honrar todas as reservas que tinha feito. O grupo frequentemente se ressentia ter que tocar em locais pequenos, mas tais aparições ajudaram a se conectar com seu público neste momento crucial. 1963-This was The Beatles only performance in the small market town of Tenbury Wells, Worcestershire. The concert took place at the Riverside Dancing Club in the Bridge Hotel. For a group clearly on the cusp of success, The Beatles wouldn't have performed in such a small venue and town, but for Brian Epstein's commitment to honour all bookings they had made. The group often resented having to perform at small venues, but such appearances helped them connect with their audiences at this crucial time. They'd be glad that you're not bad to me, to me, to me. 1966-Os Beatles começaram a gravar seu próximo single Paperback Writer, no dia anterior. Foi concluída durante esta sessão, como se fosse a música de fundo do lado b, Rain. 1966 -The Beatles had begun recording their next single, Paperback Writer, on the previous day. It was completed during this session, as was the backing track of its b-side, Rain. *Rain, foi o primeiro lançamento dos Beatles a sugerir estados alterados de consciência, não só na letra, mas também na música. O vocal arrastado, os instrumentos mais lentos e a fita tocada ao contrário no final eram sinais do que estaria por vir. * Rain, was the first release of the Beatles suggesting altered states of consciousness, not only in lyrics but also in music. The vocal dragged, instruments slower and tape played in reverse at the end were signs of what was to come. 1962-Esta data foi a primeira dos Beatles em Hamburgo Star-Club, o mais novo local de rock da cidade. O grupo passou as sete semanas seguintes tocando no local, cavocando 172 horas de estágio, durante 48 noites. Eles terminaram a temporada em 31 de maio de 1962, e deixaram Hamburgo, no sábado 02 de junho. Foi a terceira estadia dos Beatles em Hamburgo em dois anos, mas não seria a última, eles voltaram mais duas vezes ao Star Club antes do fim de 1962. 1962-This date was The Beatles' first at Hamburg's Star-Club, the city's newest rock 'n' roll venue. The group spent the following seven weeks performing at the venue, notching up 172 hours of stage time over 48 nights. They finished their stint on 31 May 1962, and left Hamburg on Saturday 2 June. It was The Beatles' third residency in Hamburg within two years, but wouldn't be their last; they returned two more times to the Star-Club before the end of 1962. *Os Beatles se mantém fiéis ao arranjo de Spector, mas mudam o título e a letra de um ponto de vista feminino para um masculino. Mais uma vez o solo vocal é de John, com Paul e George responsáveis pelo "da,da, da" de fundo. Os Beatles costumavam incluir esta canção em suas primeiras apresentações e The Star Club Tapes traz uma versão ao vivo dela. 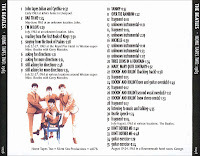 * The Beatles hold to the arrangement of Spector, but change the title and lyrics of a feminine point of view for a male. 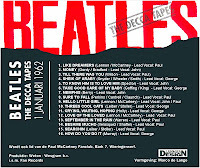 Again John is the vocal solo, with George and Paul responsible for "da, da,da" backvocal. 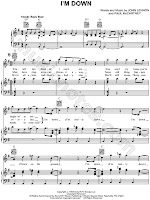 The Beatles used to include this song in their first performances and The Star Club Tapes brings a live version of it. 1964-Uma semana depois de filmar as sequências de perseguição para as cenas de abertura de A Hard Day, os Beatles voltaram a Marylebone Station, em Londres, para completar as cenas. Desta vez não havia fãs presentes, e a estação foi fechada ao público domingo. Os Beatles foram filmados em uma série de locais na estação, incluindo a corrida por uma plataforma para pegar o trem em movimento. 1964-A week after filming chase sequences for the opening scenes of A Hard Day's Night, The Beatles returned to Marylebone Station in London to complete the scenes. This time there were no fans present, and the station was closed to the public on Sundays. The Beatles were filmed in a number of locations in the station, including running down the length of a platform to catch a moving train. *Surpreendentemente para uma música de John ela é bastante otimista, um rapaz que ama uma garota, uma garota que ama um rapaz, e está tudo bem. * Surprisingly for a John's song, it's very optimist, a guy who loves a girl, a girl who loves a boy, and all is well. 1961-Esta foi a 11 ª noite da maior estadia dos Beatles em Hamburgo, durante o qual eles tocaram um total de 92 noites no Clube Top Ten. O clube era de propriedade de Peter Eckhorn, que pagou a cada um dos Beatles 35DM (R $ 3) por dia. Eles foram obrigados a tocar a partir de 19:00 até 2:00 cada dia da semana, e até três horas nos fins de semana, com um intervalo de 15 minutos a cada hora. As apresentações no Top Ten foram tão bem sucedidas que Eckhorn prorrogou por duas vezes o contrato dos Beatles. Eles finalmente deixaram a Alemanha após o seu último show no clube em 1 de Julho de 1961, tendo tocado no palco 503 horas, durante sua estadia. 1961-This was the 11th night of The Beatles' lengthiest residency in Hamburg, during which they played a total of 92 nights at the Top Ten Club. 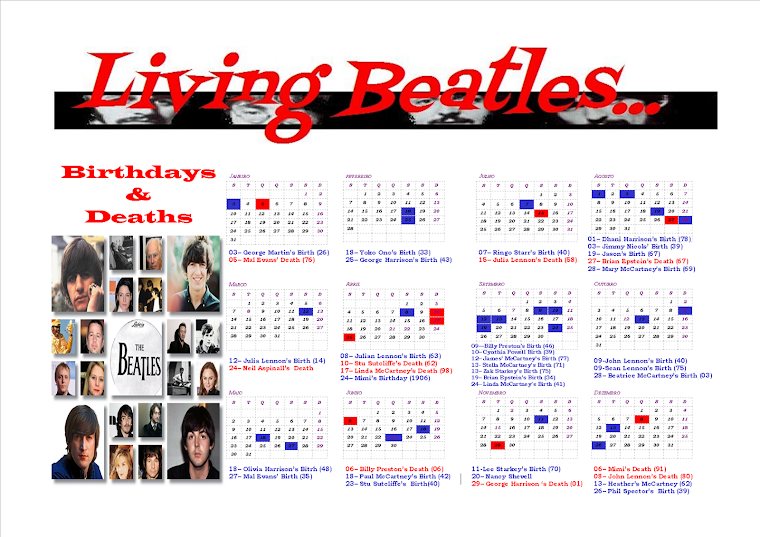 The club was owned by Peter Eckhorn, who paid each of The Beatles 35DM (£3) per day. They were required to play from 7pm until 2am each weekday, and until 3am on weekends, with a 15-minute break in each hour. 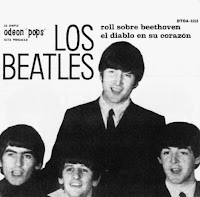 1964-O follow up para Meet The Beatles! foi emitido neste dia pelo rótulo Capitol dos EUA. O Beatles 'Second Album seria realmente o terceiro long play nos Estados Unidos, se o Introducing The Beatles, lançado pela Vee-Jay em janeiro de 1964, estivesse incluído. 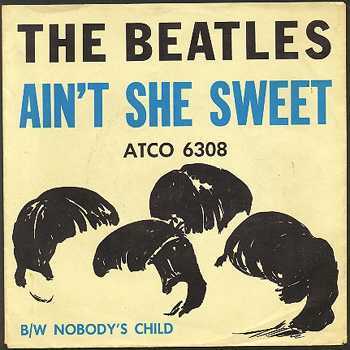 O álbum continha músicas de quatro diferentes lançamentos do Reino Unido: With The Beatles, Thank You Girl do single From Me To You, ambos os lados de She Loves You/I'll Get You, e You Can't Do That do single Can't Buy Me Love. Duas novas músicas, Long Tall Sally e I Call Your Name, também foram incluídos. 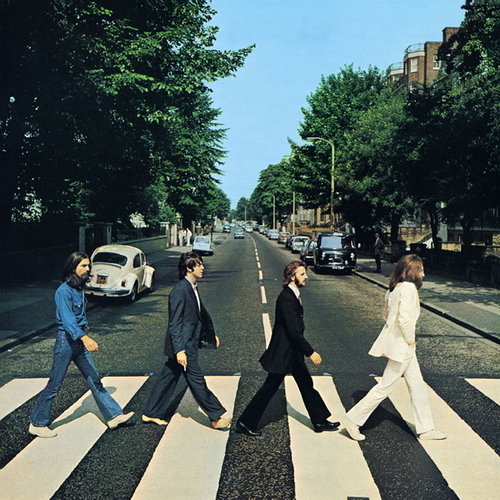 The Beatles 'Second Album chegou ao topo das paradas norte-americanas, substituindo Meet The Beatles;! Esta foi a primeira vez que um artista substituiu-se no ponto número um na América. 1964-The follow-up to Meet The Beatles! was issued on this day by the group's US label Capitol. 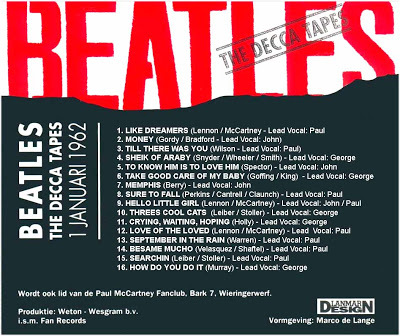 The Beatles' Second Album was actually their third long player in the United States, if the Introducing The Beatles, released by Vee-Jay in January 1964, is included. 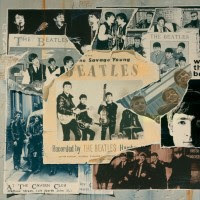 The album contained songs from four different UK releases: With The Beatles, Thank You Girl from the From Me To You single, both sides of She Loves You/I'll Get You, and You Can't Do That from the Can't Buy Me Love single. Two new songs, Long Tall Sally and I Call Your Name, were also included. 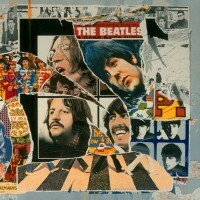 The Beatles' Second Album topped the US album charts, replacing Meet The Beatles! ; this was the first time an artist replaced itself at the number one spot in America. I need a shot of rhythm and blues, whoo! Rockin' in two by two, whoo! Dig to these rhythm and blues. * Com a guitarra base de John dando pulso forte da gravação, George assume o vocal (gravado em duas pistas) nesta versão do clássico de Chuck Berry. Os Beatles tocavam esta música com frequência nas primeiras apresentações no Cavern e no Star Club, e sempre recebiam muitos pedidos para executá-la. Uma antiga gravação ao vivo pode ser ouvida em The Star Club Tapes. * With the rhythm guitar of John giving strong pulse of the recording, George assumes the vocal (recorded on two tracks) in this version of the Chuck Berry's classic. 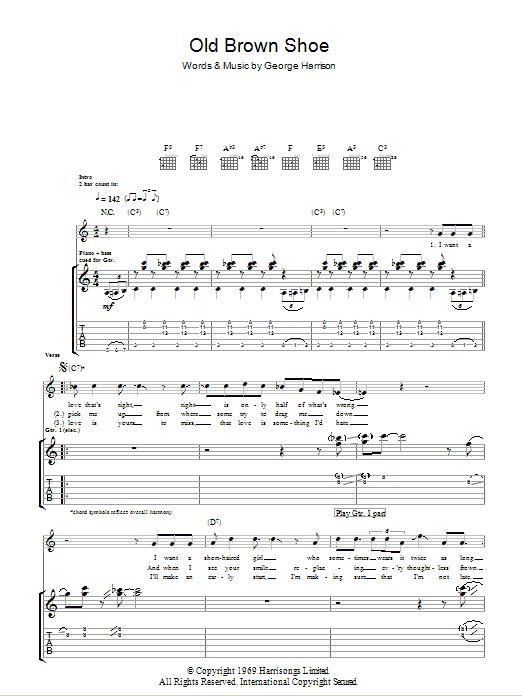 The Beatles played this song often in the first performances at the Cavern and the Star Club, and always received many requests to play it. An old live recording can be heard at The Star Club Tapes. 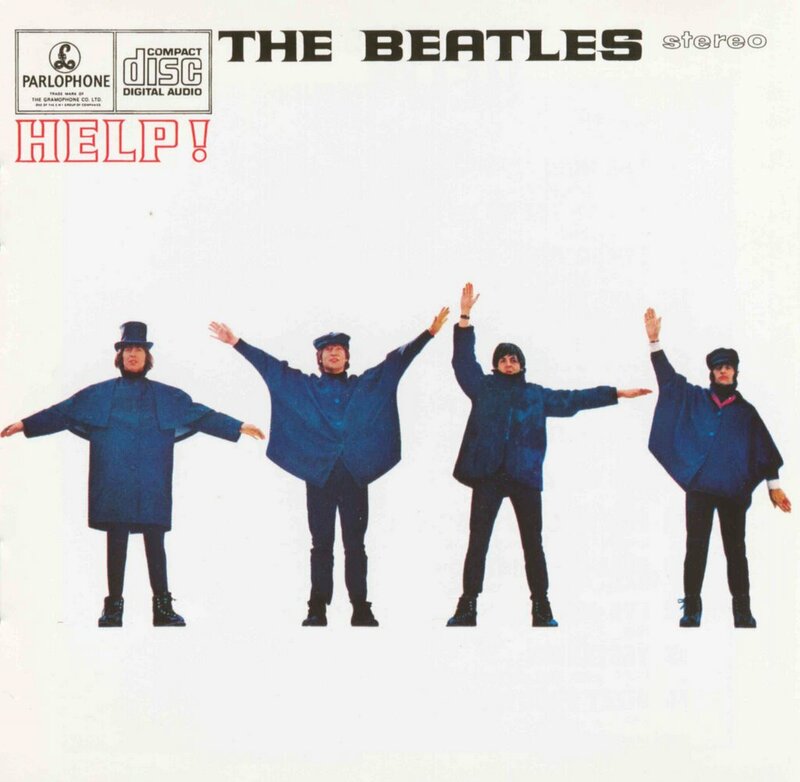 1965-A primeira música liberada para o público dos Beatles para o próximo álbum Help! foi o single de Ticket To Ride, lançado como Parlophone R 5265. O lado-B foi Yes It Is, a tentativa de John Lennon para reescrever sua This Boy. O single entrou nas paradas do Reino Unido em 15 de Abril. Na semana seguinte, alcançou o número um, onde permaneceu por três semanas. Ao todo passou 12 semanas na parada de sucessos. Ticket To Ride foi lançado em 19 de abril de 1965 nos Estados Unidos. 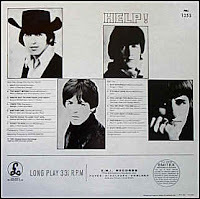 1965-The first song released to the public from The Beatles' forthcoming Help! album was the Ticket To Ride single, released as Parlophone R 5265. The b-side was Yes It Is, John Lennon's attempt to rewrite his earlier This Boy. The single entered the UK charts on 15 April. The following week reached number one, where it remained for three weeks. In all it spent 12 weeks in the hit parade. 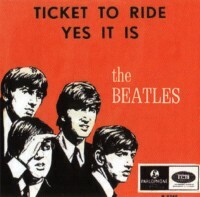 Ticket To Ride was released on 19 April 1965 in the United States. *"Ticket to Ride" foi escrita por John e Paul como um single e descrita por John como "uma das primeiras gravações de heavy metal já feitas". 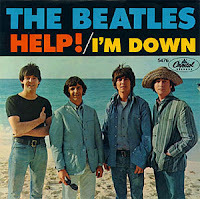 Embora suas asas tenham sido cortadas por "You Really Got Me", do Kinks, na disputa, foi a primeira faixa dos Beatles a ter um riff insistente e alongado sustentado por uma forte bateria e a trazer um fade-out com uma melodia alterada. * "Ticket to Ride" was written by John and Paul as a single and described by John as "one of the first heavy metal recordings ever made." 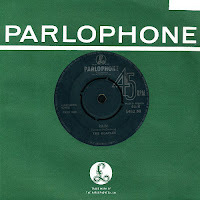 Although his wings have been cut by "You Really Got Me", the Kinks, in the race, was the first track of the Beatles to have a persistent and elongated riff backed by a strong battery and bring a fade-out with a melody changed. 1963-John Charles Julian Lennon, filho de John e Cynthia Lennon, nasceu cedo neste dia no Sefton General Hospital de Liverpool. 1963-John Charles Julian Lennon, son to John and Cynthia Lennon, was born early on this day at Liverpool's Sefton General Hospital. *"Real Love" era uma canção em que John já trabalhara por pelo menos dois anos e, apesar de poucos saberem, uma versão dela foi usada em 1988 na trilha sonora do documentário Imagine, de Andrew Solt. * "Real Love" was a song that John worked for at least two years and, although few know, a version of it was used in 1988 on the soundtrack of the documentary Imagine, of Andrew Solt. 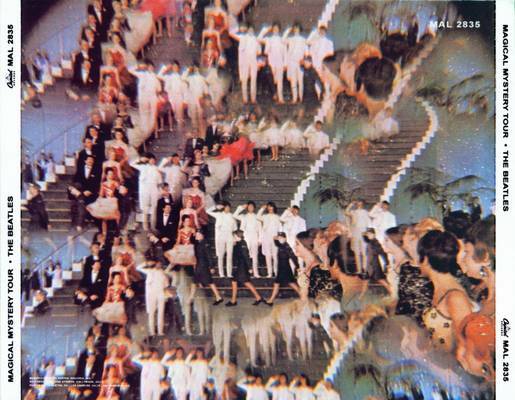 1966-O segundo dia de gravação do álbum dos Beatles Revolver viu a continuação do trabalho em Tomorrow Never Knows, e um nova versão de “Got To Get You Into My Life” (takes 1-5).Durante a segunda sessão do dia os Beatles começaram a trabalhar em Got To Get You Into My Life. Eles gravaram cinco takes, o último dos quais foi lançado em 1996 no Anthology 2. A gravação contou com harmônio, bateria, baixo, guitarra e violão. Antes do final da sessão McCartney fez overdub nos vocais e backing vocal e pandeiro foram adicionados por McCartney, Lennon e Harrison. No entanto, esta tentativa foi descartada em favor de um remake no dia seguinte. 1966-The second day of recording for The Beatles' Revolver saw a continuation of work on Tomorrow Never Knows, and an early version of Paul McCartney's Got To Get You Into My Life.During the day's second session The Beatles began work on Got To Get You Into My Life. They recorded five takes, the last of which was released on 1996's Anthology 2. The recording featured harmonium, drums, bass guitar and acoustic guitar. 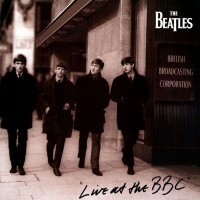 Before the end of the session McCartney overdubbed lead vocals, and backing vocals and tambourine were added by McCartney, Lennon and Harrison. However, this attempt was scrapped in favour of a remake on the following day. *John acreditava que, ao mencionar "another kind of mind" nas letras, Paul estivesse aludindo às suas experiências com drogas. Ele confirmou ser isso mesmo. Era um hino de louvor à maconha disfarçado de canção de amor. Não era de uma mulher que ele precisava todo dia, era de um baseado. * John believed that by mentioning "another kind of mind" in the lyrics, Paul was alluding to his experiences with drugs. He confirmed that. It was a hymn of praise to marijuana disguised as a love song. There was not a woman that he needed every day, was a joint. 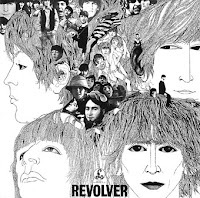 1966-A primeira sessão de Revolver dos Beatles aconteceu neste dia, com três takes da notável Tomorrow Never Knows de John Lennon.A sessão teve lugar no estúdio três da EMI Studios, Abbey Road, e durou de 20:00 01:15. Neste momento a música tinha o título de trabalho de Mark I.
Embora nunca tenha sido bastante diferente da versão final Tomorrow Never Knows, Mark I representou um enorme salto a frente em termos de gravação dos Beatles. Take um, que foi lançado em 1996 no Anthology 2, soou muito diferente de tudo o que o grupo havia feito antes - e, na verdade, tinha pouca semelhança com a música contemporânea em geral. 06 de abril de 1966 foi essencialmente gasto no ritmo e vocal da faixa de música. A base da versão final de Tomorrow Never Knows era o take três, a última das tentativas do dia. A faixa de ritmo continha bateria de Ringo Starr, Paul McCartney no baixo e tambura de George Harrison. Lennon, em seguida, acrescentou seus vocais, que foram alimentados através de um órgão Hammond do alto-falante de Leslie durante o segunda metade. 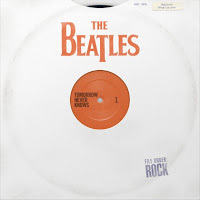 1966-The first session for The Beatles' Revolver took place on this day, with three takes of John Lennon's remarkable Tomorrow Never Knows.The session took place in studio three at EMI Studios, Abbey Road, and lasted from 8pm-1.15am. At this time the song had the working title Mark I. Although quite different from the final version of Tomorrow Never Knows, Mark I represented a huge leap forward in recording terms for The Beatles. Take one, which was released on 1996's Anthology 2, sounded quite unlike anything the group had done before - and, indeed, bore little resemblance to contemporary music in general. 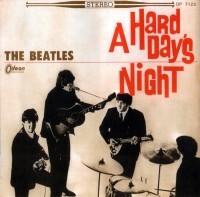 6 April 1966 was primarily spent on the song's rhythm track and vocals. The basis of the final version of Tomorrow Never Knows was take three, the last of the day's attempts. The rhythm track contained Ringo Starr's drums, Paul McCartney's bass guitar and George Harrison's tambura. Lennon then added his lead vocals, which were fed through a Hammond organ's Leslie speaker during the second half. Turn off your mind, relax and float down stream, It is not dying, it is not dying Lay down all thought, surrender to the void, Is it shining? Is it shining? That you may see the meaning of within It is being, it is being Love is all and love is everyone Is it knowing? Is it knowing? That ignorance and hate may mourn the dead It is believing, it is believing But listen to the colour of your dreams Is it not living, is it not living Or play the game "Existence" to the end Of the beginning, of the beginning. * O título provisório da faixa era "The Void", tirada de uma frase de Leary "Beyond the restless flowing electricity of Life is the ultimate reality- the Void". "O título final foi um chavão de Ringo adotado por John, porque conferia leveza ao que de outra forma poderia soar como uma jornada desolada rumo ao nada. * The working title of the track was "The Void", a phrase taken from Leary's "Beyond the restless flowing electricity of Life is the ultimate reality-the Void." "The final title was a Ringo's slogan adopted by John, because it gave light to what otherwise might sound like a desolate journey towards to nothing. 1965-Neste e no dia seguinte, Os Beatles filmaram as cenas no Restaurante Indiano Rajahama para Help! no Twickenham Film Studios.Ao fazer as cenas de Os Beatles tiveram seu primeiro contato com a música Indiana. A cozinha interior e as cenas de jantar foram filmadas em um set construído propositadamente, em Twickenham. 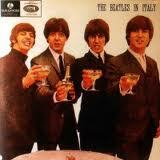 1965-On this and the following day, The Beatles filmed the Rajahama Indian restaurant scenes for Help! at Twickenham Film Studios.While making the scenes The Beatles had their first exposure to Indian music. The interior kitchen and dining scenes were filmed on a purpose-built set at Twickenham. Em uma realização pouco provável de ser igualada, para a semana de 04 abril de 1964 os Beatles ocupavam as cinco primeiras posições do Hot 100 da Billboard. Ao todo tinham 12 lugares na tabela dos EUA. Havia também duas gravações de tributo aos Beatles na lista: We Love You Beatles dos Carefrees no 42, e A Letter To The Beatles dos Four Preps na 85. 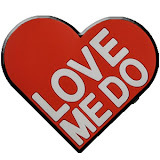 Na semana seguinte, mais dois singles dos Beatles entraram na parada: There's A Place (no 74) e Love Me Do (81). 1964-In an achievement unlikely to ever be equalled, for the week of 4 April 1964 The Beatles occupied the top five positions of the Billboard Hot 100 chart. In all they had 12 places on the US chart. 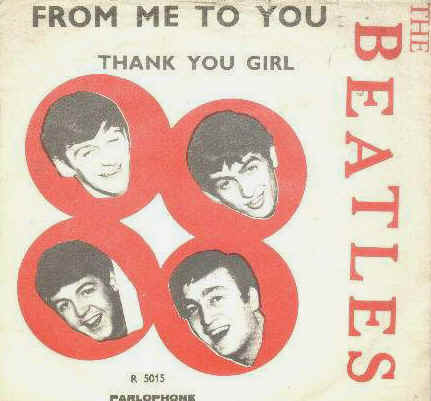 *"Thank You Girl", originalmente intitulada "Thank You Little Girl", foi escrita como uma sequência de "Please Please Me", e "From Me To You" foi pensada para ser seu lado B. No final foi "From Me To You" que soou como um single mais natural, então as duas mudaram de lugar. 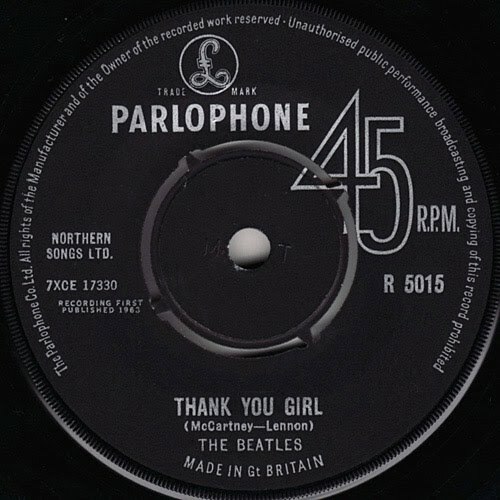 * "Thank You Girl", originally titled "Thank You Little Girl" was written as a sequence of "Please Please Me" and "From Me To You" was thought to be the side B. At the end was "From Me To You" single that sounded more natural, then the two moved. 1961-Esta foi a terceira noite dos Beatles na mais longa residência em Hamburgo, durante a qual desempenharam um total de 92 noites no Top Ten Club. 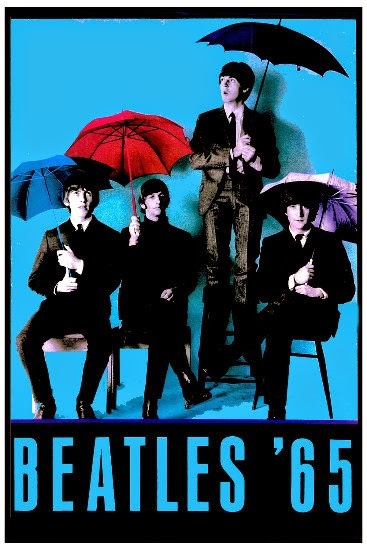 O clube era de propriedade de Peter Eckhorn, que pagou a cada um dos Beatles 35DM (£ 3) por dia. Eles foram contratados a tocar a partir de 19:00 até 02:00 de cada dia da semana, e até três horas nos fins de semana, com um intervalo de 15 minutos em cada hora. As apresentações no Top Ten foram tão bem sucedidas que Eckhorn prorrogou por duas vezes o contrato com os Beatles. Eles finalmente deixaram a Alemanha após o seu último show no clube em 1 de Julho de 1961, tendo se apresentado no palco por 503 horas durante a sua estadia. 1961-This was the third night of The Beatles' lengthiest residency in Hamburg, during which they played a total of 92 nights at the Top Ten Club. When you see her walking down the street. When you look her over once or twice. *Improviso em estúdio de um clássico que eles já haviam gravada em Hamburgo com John no vocal. Esta versão é mais parecida com a original gravada por Gene Vincent em 1956 do que a interpretação anterior dos Beatles. * Improvisation in studio of a classic that they had recorded in Hamburg with John on vocals. 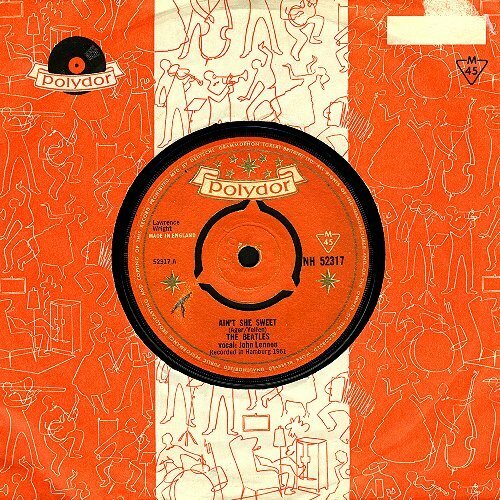 This version is alike the original recorded by Gene Vincent in 1956 than the previous interpretation of the Beatles. 1970-A jornada de trabalho final dos Beatles no último álbum Let It Be foi uma sessão de mixagem e edição de três músicas. Phil Spector trabalhou na sala quatro da EMI Studios, com o engenheiro Peter Bown e o operador de fitas Roger Ferris. As três músicas trabalhadas foram The Long And Winding Road, Across The Universe e I Me Mine. Alguns trabalhos futuros foram exigidos nos dois últimos tracks. Spector editou, então diminuiu Across The Universe, alterou o tom de ré para dó sustenido, e combinou duas mixagens em estéreo de The Long And Winding Road - a edição pode ser ouvida em 1'26 ". 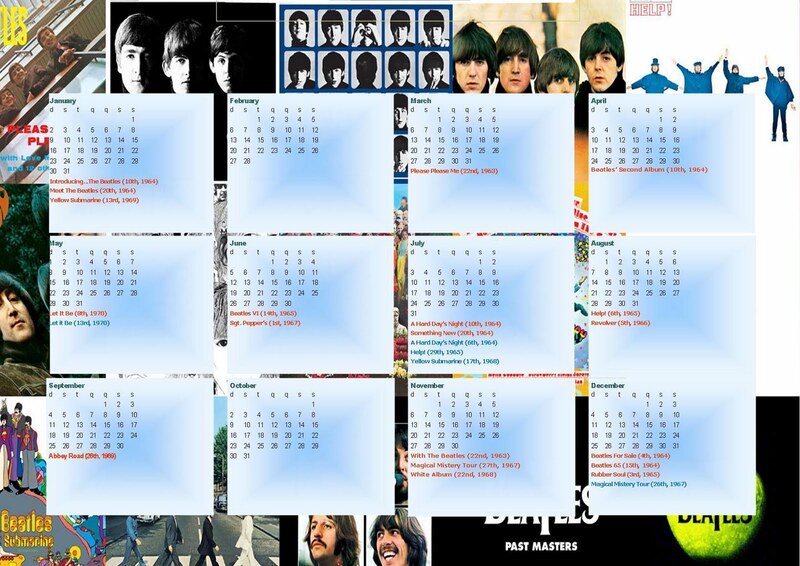 Após do acetato da sessão do álbum estarem completo foi enviado a cada um dos Beatles, para aprovação. Embora mais tarde ele expressem ressentimento pelo trabalho de Spector, Paul McCartney disse estar inicialmente satisfeito com o tratamento das gravações. 1970-The final day's work on The Beatles' last album Let It Be was a stereo mixing and edit session for three songs. Some further work was also required on the latter two tracks. Spector edited then slowed Across The Universe, changing the key from D to C#, and combined two stereo mixes of The Long And Winding Road - the edit can be heard at 1'26". All through your life I me mine. *A melodia de valsa de "I Me Mine" foi inspirada em "Kaiserwalzer" de Johann Strausss II, um trecho de sessenta segundos usado como música de fundo em um documentário da BBC2. * The melody of waltz of "I Me Mine" was inspired by "Kaiserwalzer"of Johann Strausss II, a stretch of 60 seconds used as background music for a documentary on BBC2. 1967-A última música a ser iniciada para o álbum Sgt. Pepper Lonely Hearts Club Band foi uma reprise da faixa-título. Ela foi gravada em uma única sessão neste dia. A sessão aconteceu no enorme Estúdio 1 da EMI em Abbey Road, entre 7:00 da noite e 6:00 da manhã seguinte. Nove takes foram gravados; uma tentativa não utilizada, take cinco, foi incluído em 1996 no Anthology 2. 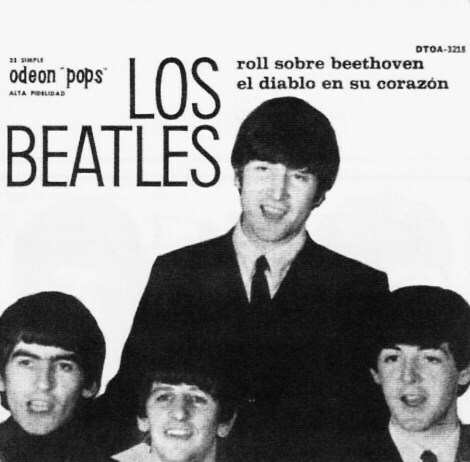 Cada membro dos Beatles tocando seus instrumentos convencionais, como um grupo, talvez por ocasião única do álbum. Paul McCartney cantou uma parte do vocal, e George Martin se juntou a eles no órgão. McCartney, John Lennon e George Harrison overdubbed os vocais para o track três do take nove, e maracas e tamborim foram adicionados ao track quatro. Sgt. Pepper Banda Lonely Hearts Club (Reprise) foi a única canção Sgt. Pepper que não teve mix de redução; as quatro tracks foram preenchidas com os instrumentos iniciais, os overdubs foram adicionados, então ela estava pronto para ser misturado para o álbum. Nove mixagens em mono do take nove foram feitas durante esta sessão, a última das quais foi usada no álbum. Duplo tracking Artificial foi aplicado aos vocais, e alguns dos ruídos de multidão preparados em 6 de março de 1967 foram adicionados. 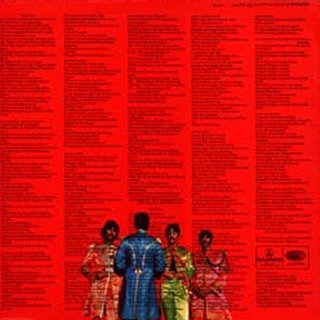 1967-The final song to be begun for the Sgt Pepper's Lonely Hearts Club Band album was a reprise of the title track. It was recorded in a single session on this day. The session took place at EMI's enormous Studio One at Abbey Road, between 7pm and 6am the following morning. 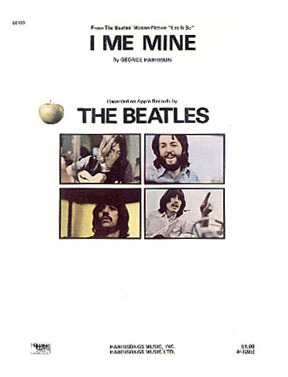 Nine takes were recorded; an unused attempt, take five, was included on 1996's Anthology 2. 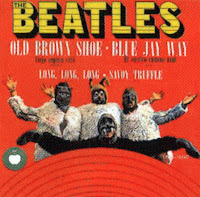 Each member of The Beatles playing their conventional instruments, as a group, for perhaps the only occasion on the album. Paul McCartney sang a guide vocal part, and George Martin joined them on organ. 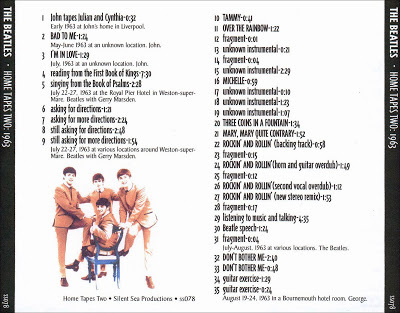 McCartney, John Lennon and George Harrison overdubbed vocals onto track three of take nine, and maracas and tambourine were added to track four. 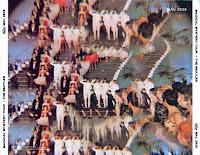 Sgt Pepper's Lonely Hearts Club Band (Reprise) was the only Sgt Pepper song not to be given a reduction mix; the four tracks were filled with the initial instruments, the overdubs were added, then it was ready to be mixed for the album. Nine mono mixes of take nine were made during this session, the last of which was used on the album. Artificial double tracking was applied to the vocals, and some of the crowd noises prepared on 6 March 1967 were added. We're sorry but its time to go. *Paul conta "one-two-three-four" e introduz a reprise da faixa de abertura-se você ouvir com fones de ouvido perceberá que John diz: "bye" entre o "two" e o "three". Não há vocalista principal nesta segunda versão; todos cantam a letra adaptada, em harmonização a três vozes-e, ao contrário da faixa de abertura, aqui não há trompas. A faixa acaba com o som abaixando sob os aplausos da platéia e da entrada em fade in do violão e do piano de "A Day In The Life". * Paul counts "one-two-three-four" and introduces the reprise of the opening track, if you listen with headphones notice that John says "bye" between "two" and "three". 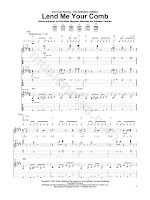 There are no lead singer in this second version, all singing the lyrics adapted for matching the three voices, and, unlike the opening track, there are no trumpet. 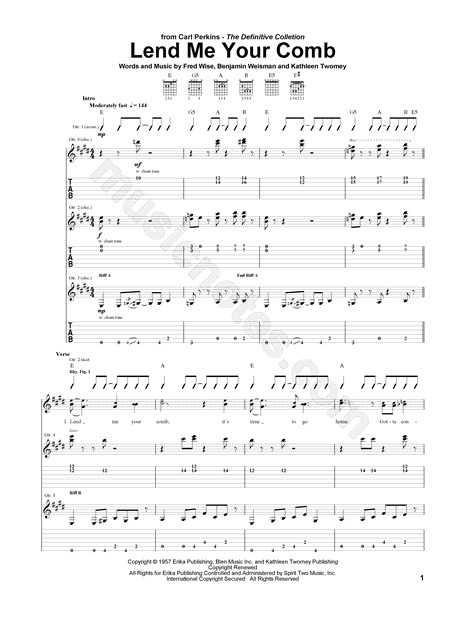 The track ends with the sound lowering of the applause of the audience and the entry into the fade in guitar and piano of "A Day In The Life."